Breakfast with the Saints success! 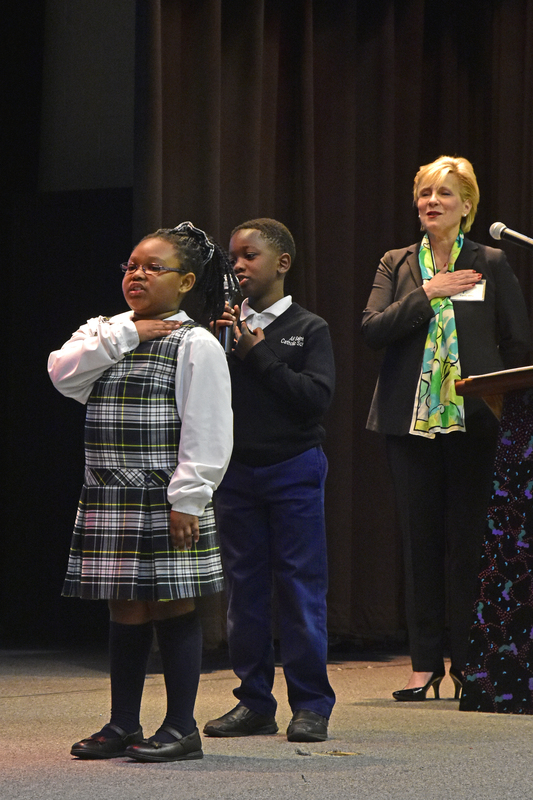 On April 5, All Saints held its eighth “Breakfast with the Saints.” Over 200 guests were in attendance to hear from three alumni now entering college, their mothers and their favorite teacher who has been with All Saints for 25 years. The entire student body performed “On Holy Ground” and “Bright Happy Day.” The school was honored to have His Excellency, Most Reverend Bishop Barry Knestout close the program with remarks and a blessing. Thanks to our parents for volunteering as servers. Check out the photos HERE.